Bookkeeping tips for the small business owner. Not for Profits – Do You Keep An Asset Register? An Asset Register is an important part of a not-for-profit’s financial records. So by fixed assets I mean assets that you use in your organisation over the longer term to produce income, but not assets that you would sell as part of your day to day operations (eg inventory). Include all costs incurred in making the asset usable – for example installation costs, computer cabling and delivery/transportation. Your accounting software may have a feature that enables you to enter these asset details, or you can draw up a simple spreadsheet using Excel. An up to date Asset Register will help with depreciation, insurance, statutory obligations and assist with decision-making in regard to further investment in assets. Furthermore, an auditor may request to see your Asset Register as part of your annual audit. What Does a Treasurer Do? Have been using cloud computing to do non-profit bookkeeping for a while, so I thought this was a great article. In particular, being able to access information anywhere, anytime is a great bonus for non-profits. For example, with cloud based accounting software your bookkeeper and Treasurer can both access the business books whilst one is in the office and the other is at home. Article is courtesy of Connecting Up. Have been looking over the latest figures provided by the ACNC in relation to registered charities in Australia. Our small charities in Australia rely more on donations and bequests, receiving 32% of their income from those sources, compared to the largest charities which receive only 2% of their income from donations and bequests. That’s a big difference. Smaller charities are receiving 2% of their income from government grants, compared to 44% for the largest charities. What I also thought was interesting was that the smaller charities are spending 10% of their funds on employee expenses, compared to the largest charities spending 57% on employee expenses. What do you think of these latest figures? Do you work or volunteer for a registered charity? Do these figures surprise you? Love to hear your thoughts. You may have noticed I like writing about not-for-profits. How great is it knowing that your hard work is benefiting others in need? Just recently, on behalf of a not-for-profit organisation, I purchased a bull for a community in Bangladesh. The small group of ladies had been fundraising for over a year to raise the funds. I returned home at the end of the day thinking “wow – how many bookkeepers can say they bought a bull as part of their day’s work?” I felt privileged to be able to share in their excitement and sense of accomplishment. Have financial procedures in writing and readily available for employees and volunteers to access. Communicate the importance of following these procedures and keep them up to date so that new volunteers and employees can step in to their roles easily. Financial information such as Profit & Loss, Balance Sheet, Income & Expenditure Statements should be made available to board members prior to meetings. Protect your financial data. This includes regular back-up of accounting data files, limiting who you give access to online banking passwords and keeping confidential employee information in a secure location. For more on protecting financial data, you can read my previous post Reducing the risk of fraud and error. Present your financial information in a way that is easy to understand. 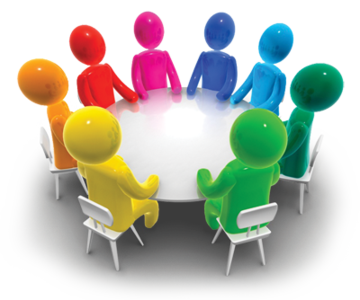 Encourage discussion and questions in relation to the finances of the organisation. Board members need to understand where the finances of the organisation are at in order to make informed decisions. Have a budget in place and check for areas that may have blown-out. Budgets may not be exciting, but are a must-have. If your organisation has employed staff to take care of the day to day bookkeeping, the Treasurer should still monitor the overall health of the organisation’s finances and ensure procedures are being followed. If you are the Treasurer of a not-for-profit organisation, you may like to read my previous post What does a Treasurer do for more tips. Have your financials audited regularly. For some tips on preparing for audits you can read my previous post Getting ready for an audit. I hope my tips have helped you in your quest to stay on top of your organisation’s finances. Working for a not-for-profit organisation can be a great experience – most people involved are contributing their time, effort and money because they believe in the cause and have common interests at heart. The bookkeeping for non-profits can be challenging, and I wrote about some of the differences in my post Not-for-profits – 6 ways your bookkeeping differs from other organisations. Just because they aren’t operating to make a profit for owners, does not mean they are not financially accountable. In fact there are usually many different stakeholders to be accountable to – including Board members, government, volunteers, staff, members and donors. I personally love the challenge of bookkeeping in the non-profit sector and have worked with wonderfully supportive board members and volunteers. I thought I would share some interesting facts about non-profits in Australia. There were 56,894 not-for-profit organisations in Australia registered with the ATO at June 2013. 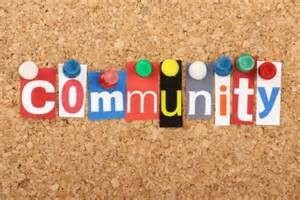 At present it is estimated there are approximately 700,000 non-profit/community groups in Australia. Not-for-profits employed 1,081,900 people in 2012-13 with social services employing the most people. Charities must have an ABN (Australian Business Number). To be a registered charity, your organisation must be a not-for-profit that has a charitable purpose that is for the benefit of the public. A public benevolent institution (PBI) is a type of charitable institution whose main purpose is to relieve poverty or distress (for example, sickness, suffering or disability). The Australian Charities and Not-for-profits Commission (ACNC) is the independent national regulator of charities in Australia. Have you been a Treasurer, bookkeeper or accountant in the not-for-profit sector? What differences and challenges did you face compared to other sectors? Maybe you are a sma ll business owner or freelancer and you feel that you don’t really have control over your finances. You are just focusing on doing your thing and money is coming in and going out. It could be that you are aware that big businesses use budgets, however you are unsure if it’s something you should be doing in your business. Here are some reasons I think budgets could help your business. We are all aware of the benefits of setting and working towards goals in our personal life.We set goals so that we don’t float aimlessly through life, so that we can stay focused and for the increased confidence and motivation that comes from achieving our goals. 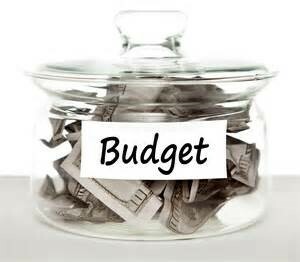 Think of budgets as an integral part of the goal setting process of your business. Preparing a budget makes you stop and look at where your money has gone in the past and enables you to prioritise where your hard earned money goes in the future. Show the banks that you take your finances seriously. Having a budget to present to potential lenders or investors demonstrates that you are planning for business success and that you are in control of your finances. Budgeting can be as simple or as complex as you want to make it. I do the bookkeeping for a not-for-profit organisation that has many cost centres, and the budget was a bit daunting to deal with in the beginning. The more exposure you have to budgeting though, the easier it gets. A good idea is to start simple and add to it as you gain confidence. The important thing is to do it in the first place and to keep doing it on a regular basis. Do you prepare budgets for your business or in your workplace? Has the above list inspired you to look into preparing a budget for your business? Love to hear from you. So maybe you are thinking of taking on the role of Treasurer at a not-for-profit organisation. But you want to know what you are getting yourself in for first? Read on for some of the more common tasks of a Treasurer. It is the Treasurer’s job to keep the finances of an organisation healthy – so the organisation can achieve its mission. It’s an important role and, depending on the size of the organisation, it could involve an hour every month or several hours a week. You don’t need to have an accounting background to be a good Treasurer. An eye for detail certainly helps, together with a basic knowledge of how the organisation works and knowledge of how money flows in and out of an organisation. If you do have an accounting background, you may like to read my previous post Not-for-profits – 6 ways your bookkeeping differs from other organisations. You will need good communication skills as you will need to attend meetings and explain financial reports to committee members who may or may not share your enthusiasm or knowledge of financial matters. This includes recording all financial transactions of the organisation and preparing financial statements at regular intervals. It also includes budget preparation and keeping an eye on whether groups are spending within their budgets. Larger organisations may employ a staff member to record transactions, however the Treasurer will need to keep an overall eye on the finances. Some organisations may use computer software to record transactions & prepare financial reports, however small organisations may use spreadsheets. Written financial procedures need to be reviewed and updated regularly. Anyone else should be able to walk into the role and pick up where you left off. It is also provides a degree of protection for the organisation and its people. Correct authorisation of transactions is a key issue, as well as having strong internal control procedures in place to prevent theft or fraud. You may need to assist with audits. You may be asked to prepare funding proposals for grants, with the assistance of other board members. Part of keeping an eye on the finances of the organisation is alerting board members to potential risks such as low funds or future, large expenses. The Treasurer should educate themselves on the main legislation that applies to the particular organisation. For example in Australia this could include GST, PAYG withholding and ACNC requirements. So that is the basics of what you may be asked to do as a Treasurer. Depending on your work background it may be quite a large learning curve for you, however don’t underestimate the satisfaction you can get from devoting your time to a worthwhile cause. It is also a great opportunity to get together with people who share your interests and passions. Don’t forget to add it to your resume and make use of the networking opportunities that being on a committee can bring. Have you been a Treasurer before? Was it a positive experience for you – please add your comments below. Networking…am I doing it all wrong? © Sarina Abbott and The Savvy Bookkeeping Blog, 2018. Unauthorised use and/or duplication of this material without express and written permission from this site’s author and/or owner is strictly prohibited. Excerpts and links may be used, provided that full and clear credit is given to Sarina Abbott and The Savvy Bookkeeping Blog with appropriate and specific direction to the original content.